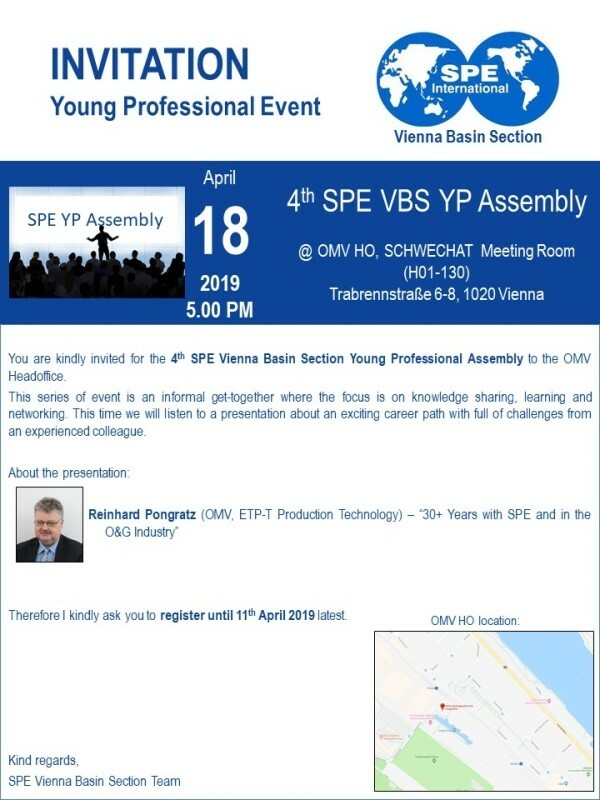 You are kindly invited for the 4th SPE Vienna Basin Section Young Professional Assembly to the OMV Headoffice. This series of event is an informal get-together where the focus is on knowledge sharing, learning and networking. This time we will listen to a presentation about an exciting career path with full of challenges from an experienced colleague. Reinhard Pongratz (OMV, ETP-T Production Technology) - "30+ Years with SPE and in the O&G Industry"
Therefore I kindly ask you to register until 11th April 2019.